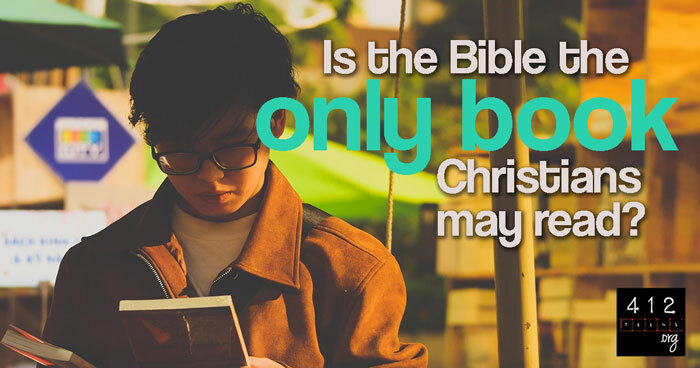 Can I read other books or just the Bible? What’s your favorite book of all time? As a Christian, it seems the answer should be the Bible. After all, it’s God’s inspired Word and offers everything we need to be saved and to live a godly life (2 Timothy 3:16-17). But is the Bible the only book we can read? If we know the Bible is valuable, can we take time to read other books for entertainment, education, and inspiration? Actually, yes! There is value in reading other books in addition to studying the Bible. As with any media choices, we must still be discerning about what we choose, but the Bible does not need to be the only book on your shelf. It’s clear that God has designed us to enjoy certain hobbies and pursuits. The apostle Paul’s letters often bring up running and athletic competitions, and I think he probably would have enjoyed watching sports or reading accounts of tournaments during a day off. Reading is a great hobby that sharpens our minds, expands our vocabulary, and even causes us to think in fresh ways. We can learn so much through books—both fiction and non-fiction. We can learn to repair a bike or imagine life on Mars or immerse ourselves in a fantasy land to get away from the stresses of life. Reading books just for fun can be a rewarding way to expand our knowledge and imaginations. Sometimes reading the Bible can be a challenge, and we could use some help in comprehending it. Thankfully, we have godly men and women who have written devotional books that help explain and apply difficult or important passages, guiding us in our personal study of God's Word. While I do read the Bible on a daily basis, I also allow the wisdom and work of others to help me grow in my understanding. Proverbs 24:6 says, “By wise guidance you can wage your war, and in abundance of counselors there is victory.” As I fight my personal wars against sin, I’m thankful for the “counselors” who encourage me from their books. Did you know that the book of Jude actually includes information from books outside the Bible? Jude 9-11 includes a story from the book “The Assumption of Moses” which tells of an argument between the Devil and the archangel, Michael. While the entirety of that book may not meet the test of being divinely-inspired, this portion was evidently historically true since God allowed Jude to include it in order to bolster his warnings about false teachers. Paul also read the thoughts of many modern-day philosophers—not because they were right, but because it was popular thinking of the day, with which his audience was familiar. Like a youth pastor who may quote a pop song or use a movie clip to make a point, Paul’s references to popular philosophy helped to show the contrasting yet superior value of God’s truth over man’s truth. While other books can entertain, educate, and inspire, the Bible should always be our primary resource for becoming more like Jesus. Other Christian resources may have their opinions and perspectives, but if they do not align with God's Word, then we cannot let them negatively impact our own faith (1 John 4:1-3). God's Word is the #1 most trustworthy book we can rely on. Isaiah 40:8 says, “The grass withers and the flowers fall, but the word of our God endures forever.” As other books move to the bargain bin, the Bible’s value for our lives will never diminish. So feel free to make other reading choices, but be sure to make them wisely. Which movies or books are safe for Christians? Is it okay to read secular or non-Christian fiction? What does the Bible say about reading or writing fiction? Yes! 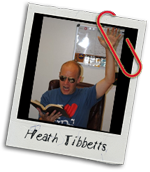 Books other than the Bible also have value and usefulness for entertainment, education, and inspiration. But while we can appreciate these books for their value, the Bible should always be our primary resource for becoming more like Jesus (2 Timothy 3:16). As other books move to the bargain bin, the Bible’s value for our lives will never diminish. So feel free to make other reading choices, but be sure to make them wisely (1 Corinthians 10:31).